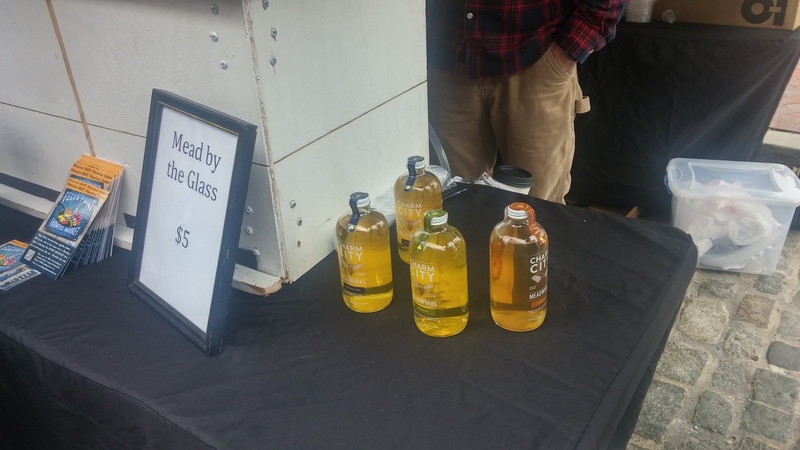 Following last week the universe wanted me to keep the Mead discussion going. 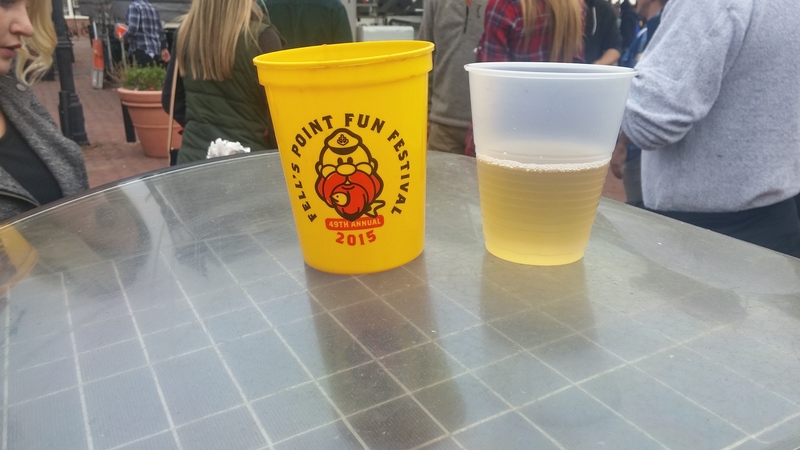 The Fells Point Fun Festival concluded this past weekend and it was such an enjoyable time. It was one of the better festivals I can remember and I’ve been going since 2002. 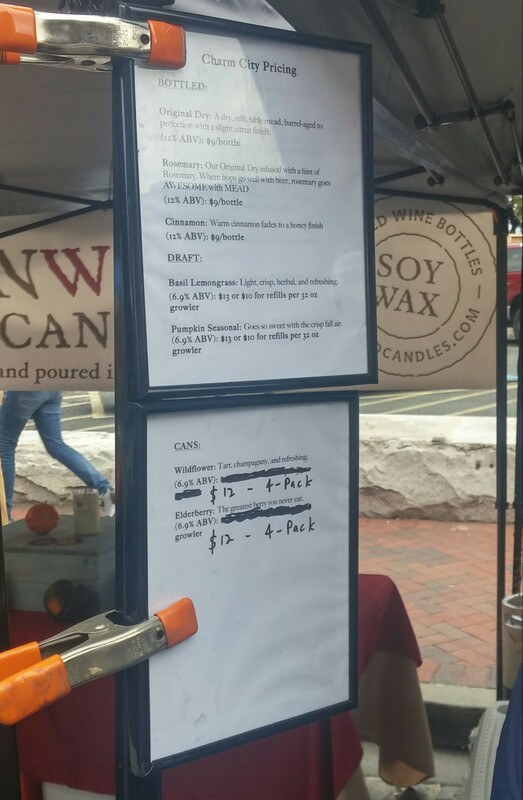 Since drinking in the streets with those charming cups was put in place two years ago, it encourages myself and others to appreciate the outdoor vendors and local businesses. Many set up shop on Broadway and Thames. This year, more than most, I really took my time noticing what so many of these hardworking and dedicated stand-alone and independent businesses have to offer. I did my part and purchased a few things to commemorate this special weekend. 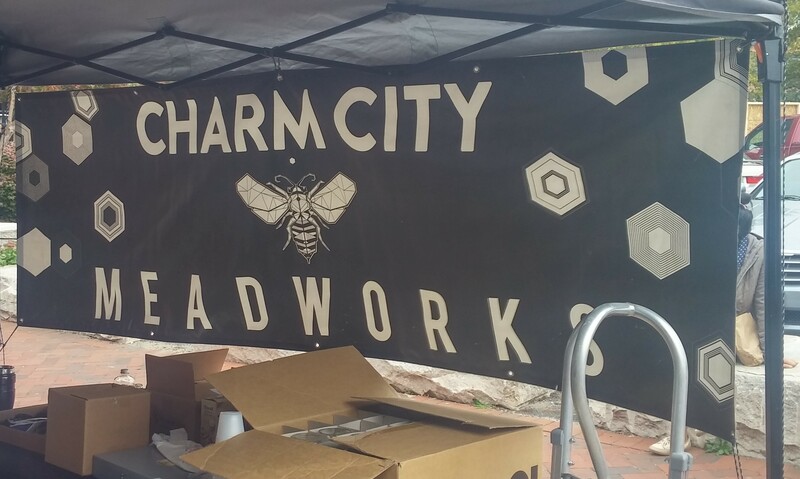 A couple of friends who knew about this blog and read last weeks post directed me to the Charm City Meadworks tent. They thought I might find something to expound upon. They were right. 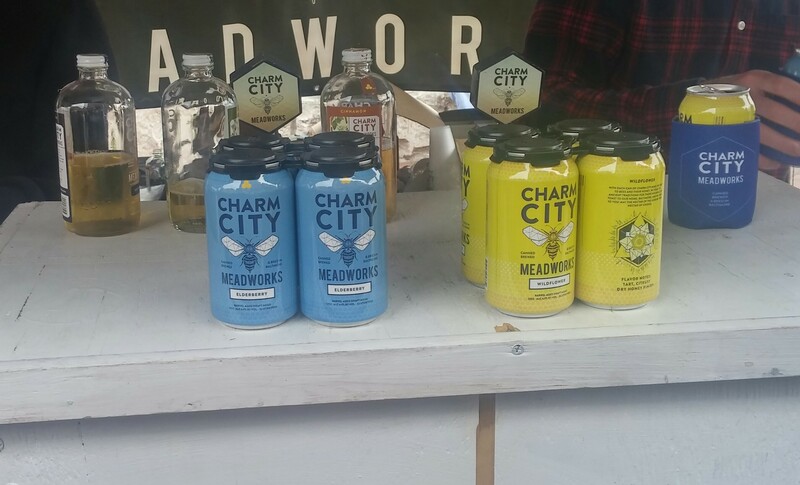 Charm City Meadworks or CCMW for short has never been on my radar but it will be now. The staff was so friendly, personable, and approachable to everyone in the 10 or so minutes I was surveying the situation. I got to snap some pictures too. Free samples of any beverage were made available. And you know freebies always bring in a crowd, no matter what it is. As we approach November, mead is the perfect thing to have and talk about as many of us may opt for more seasonal and flavorful wines. If you don’t like the heavier reds than I feel these are a viable alternative. With some intriguing options to choose from, which one did I go with? I chose the Cinnamon Still Mead and I took my time sipping this one. The intent is for this to be savored and not chugged. At first it wasn’t to my liking but it improved as the minutes went by. This is an acquired taste that may take some getting used to. But I am all for new things. To that point, I am grateful that this tent was available and was allowed to be a part of the street drinking experience. I am not really a beer drinker and sometimes red wine during the day can exhaust me. These all day events are a marathon and not a race. This was the perfect drink to sip, relax, and take a step back to appreciate what a fantastic weekend this was. And for $5 a cup this was a tremendous deal. The perfect beverage in your hand only enhances that experience. I look forward to writing more about this awesome group of folks again and that hopefully involves a visit to their taproom. If you’re interested in finding out more, click here. 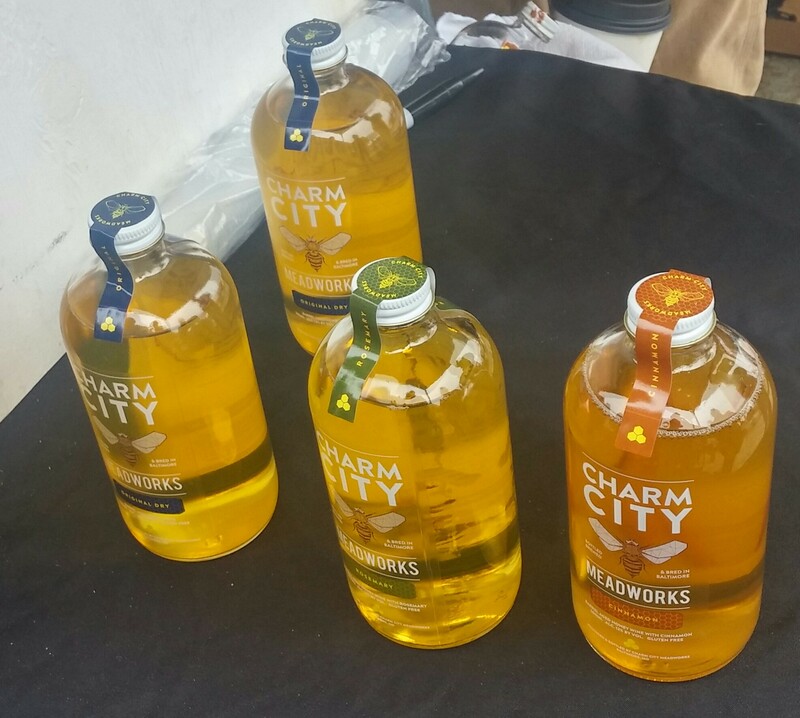 The first meadery in Baltimore is doing it right and doing it with class. Can’t wait for the next awesome event!